Everyone receives a professional make over with individual make up session. Our professional female photographer arrives for your photography session in mobile studio; includes one free personalised magazine cover photo. Individual photo shoots with optional purchase for all guests. Live like an A list cover girl for the day! Your front room, Hotel, church hall or back garden, wherever you want it – We bring the VIP Makeover party to you! Staying in is the new going out! 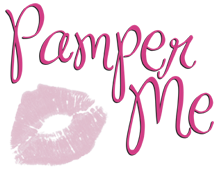 If you have any questions about your Pamper Me pampering party, please do not hesitate to contact us.